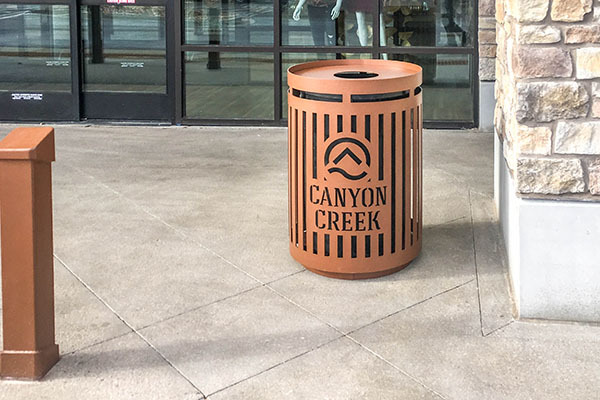 The Classic Trash Receptacle is a modern outdoor trash can option for commercial fronts, community parks, school campuses, and more. 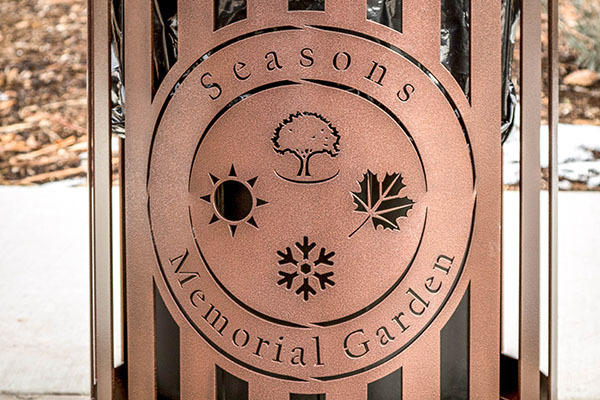 For a personalized finish, each receptacle may be laser cut with custom designs and logos. 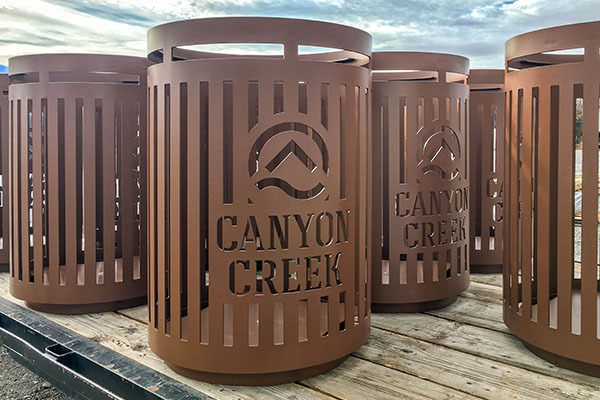 The metal trash receptacles are powder coated for a weatherproof layer that protects the metal against rust and corrosion. 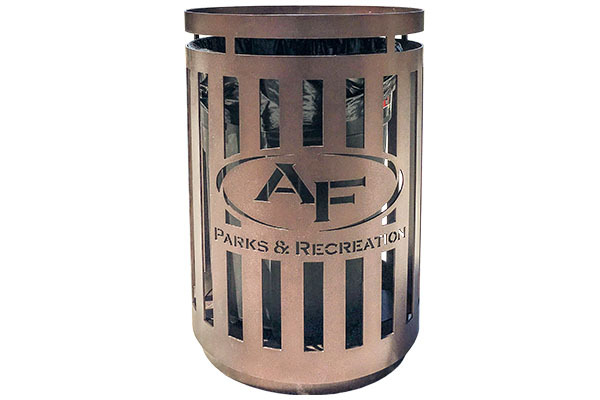 Call (801) 414-1724 to order your Classic Trash Receptacles or click the button below. 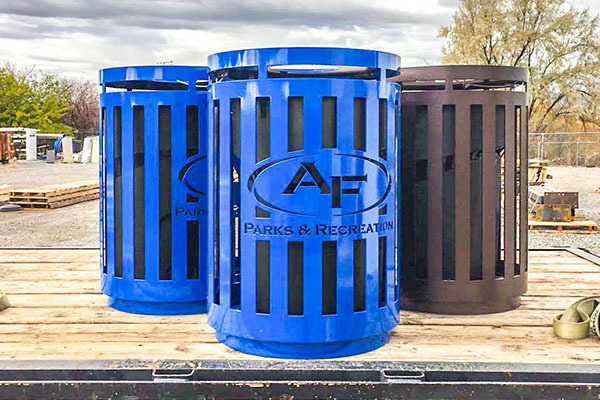 Choose between 20, 32, or 44 gallon trash receptacles. 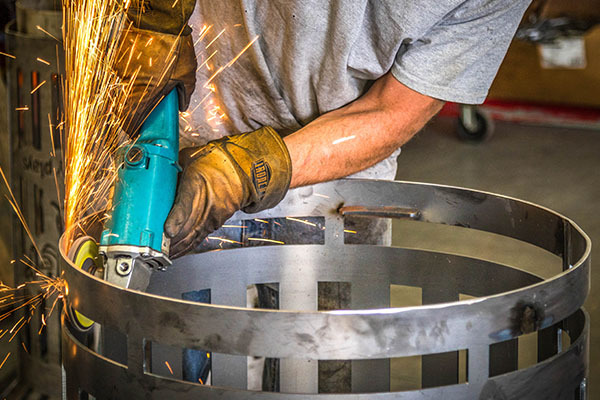 The receptacle is cut from one metal sheet and bent into shape. 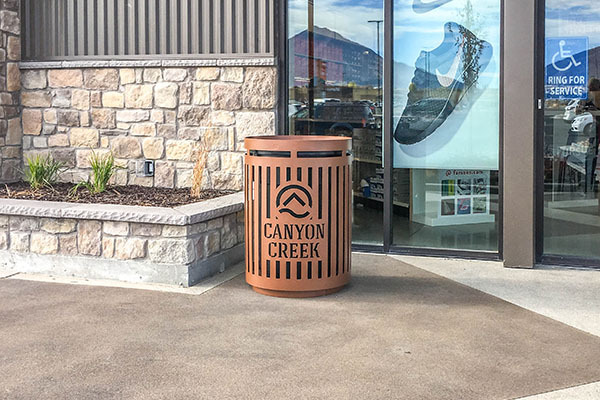 Powder coat is applied to prevent chips and scratches. Add a city or business logo, along with other custom designs. Send us your city or business logo when ordering for brand recognition. Our design team will turn it into a laser cut ready file. It will then be cut directly into the trash receptacle. 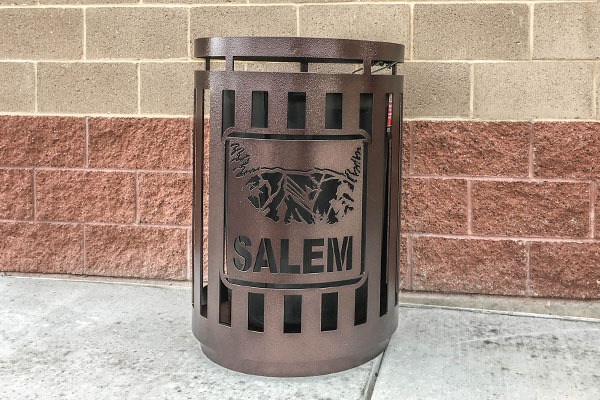 Once the trash receptacle is welded, it is then sandblasted, primed, and powder coated. This three-step process protects the metal from scratches and chips. You can choose from our color selection here. 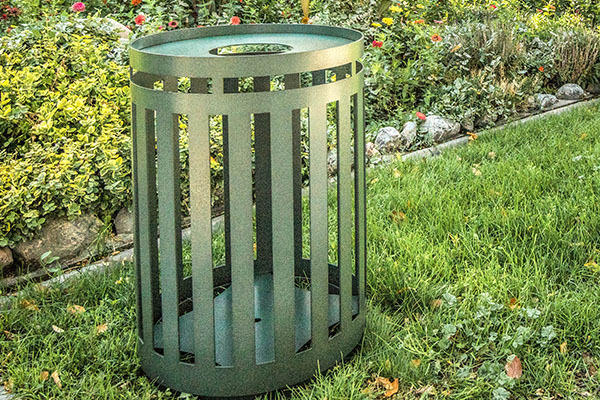 The powder coat finish provides easy, quick cleaning on the trash receptacle lid.